The idea behind LAIT came from a performance of a piece called Kama Begata Nihilum at the Krannert Center for the Performing Arts by students at the University of Illinois Department of Dance. Conceived by Prof. John Toenjes, and produced with the help of programmer Tony Reimer, composer Ken Beck, and choreographer Janice Dulak, this dance featured a smartphone app that flashed colors on cue, and displayed Augmented Reality (AR) to the audience as they pointed their phones at the cyc, or backdrop, behind a giant robot affectionately called “iPad Man.” Multiple networked iPads were used by the dancers, using a custom app developed specifically for this performance. 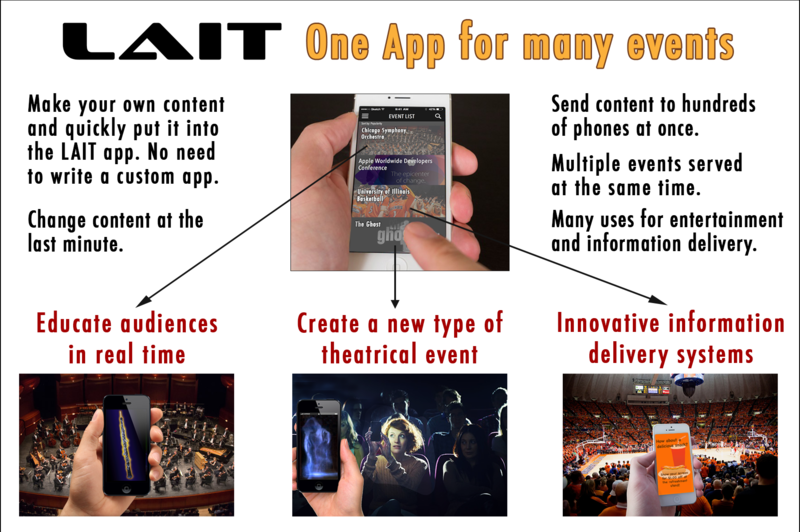 So many audience members absolutely loved the interaction with the stage performance through their smartphones, that it became evident that the time to develop an app for use in the theater is now. Prof. Toenjes decided to start LAIT at the University of Illinois, because of the ready availability of a willing audience at the Krannert Center, and one of the world’s best computer science programs. 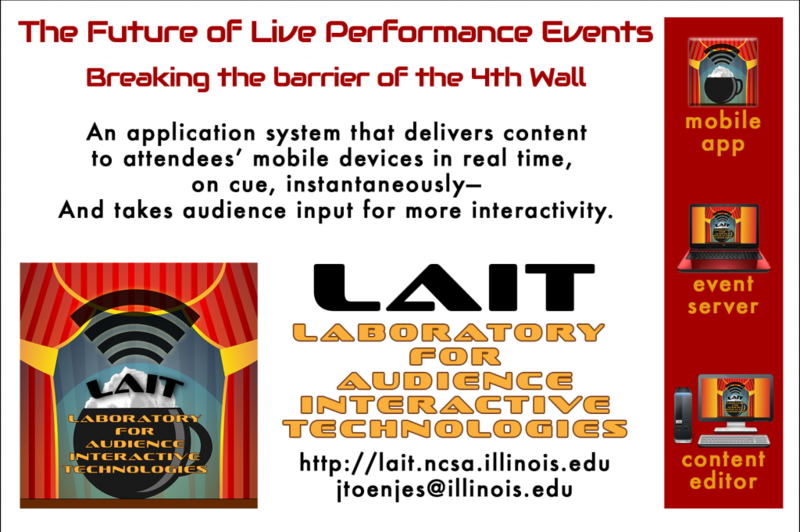 We are underway now, engaging the world in a new era of theater/mobile device integration. As you can learn in the video, there are design considerations that must be taken into account when making an app for the stage, which you can read more about on the Research and Applications page. As our team of programmers and artists grows, you can follow them on our Personnel page. And if your interest in our app has been piqued by all of this and you want to know more, please Contact us!